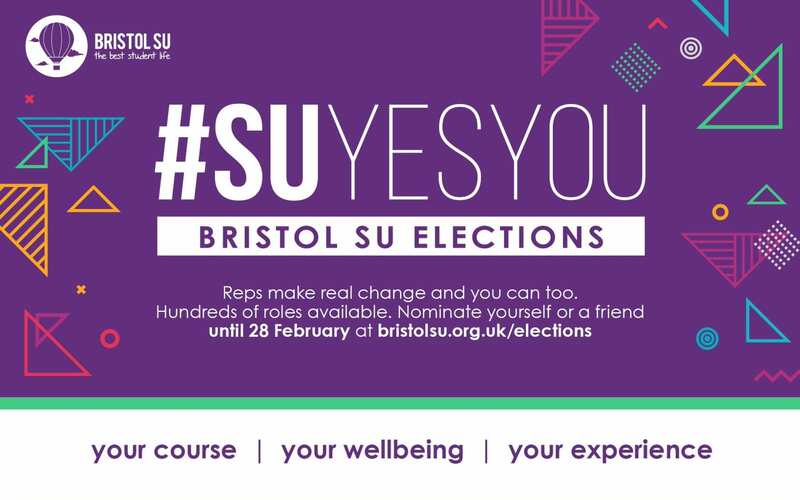 Bristol SU Elections: Nominations open! The Bristol SU nomination/election season begins this week! In this round of elections all the course reps for second years and above, UG & PGR faculty reps, Chairs of our Networks, student trustees and our full time officers are elected. In the Dental School there are 4 different course rep roles, and 12 seats available. Students can nominate themselves here: www.bristolsu.org.uk/elections. Tuesday 19th March Schools informed of new course and faculty reps! Please don’t hesitate to get in touch with Bristol SU Representation Team (bristolsu-representation@bristol.ac.uk) should you have any questions or queries. ← Previous Previous post: Healthy research participants required!